The FashionWare at International CES 2013 was unforgettable, overflowing with new creative and energetic ideas to gracefully blend fashion and technology. With such beautiful and eclectic styles last winter, I'm looking forward to seeing what the models will be wearing down the runway at this year's live fashion show during International CES 2014 on January 9th. In fact, I'm anticipating this year's event will be even more stylish and tech savvy. Robin Raskin, founder of Living in Digital Times and organizer of this unique fashion exhibition, says that the 2014 runway production will show off a range of innovative styles. According to Raskin, "The intersection of fashion and technology can be found in products such as an LED skirt powered by motion sensors, functional accessories like texting gloves, clothes that adjust to the outdoor temperature, solar-charging handbags, sensor-controlled jewelry and accessories, smart glasses, smart watches, custom 3D printed items and more." "FashionWare is a wake-up call to the fashion industry," Raskin continues. "Whether it's 3D printers used to create your own accessories, fabrics that change color based on the wearer's body temperature, or glasses that let you augment your world, the fashion industry is about to enter a renaissance thanks to technology." 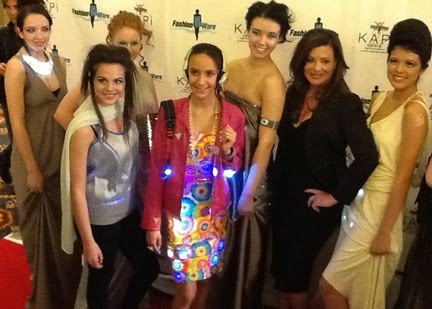 "Up and coming designers are making wearable technology accessible to the average consumer," Julie Sylvester, co-producer of the show, points out. "Tech has become a personal fashion statement as it has a functional part of life; the innovation is incredible." From January 7-10 the latest in fashion tech will also be on display for all CES participants in the FashionWare TechZone at The Venetian, Level 2, Venetian Ballroom. 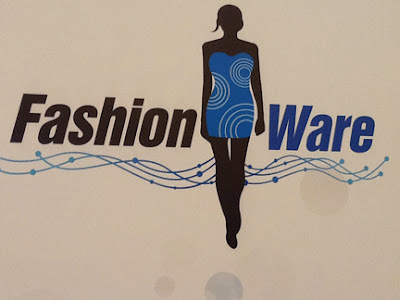 FTC Disclosure: As a credentialed member of the media, I attended International CES 2013 and also was invited to the FashionWare cocktail party and runway fashion show. As press, I am also attending CES 2014 and and the FashionWare event again this year. However I did not receive payment or any other compensation associated with this post. See complete FTC Disclosure information that appears at the bottom of MommyBlogExpert's main page and at the bottom of every individual post on this blog, including this one.